. Chen T, Zhu J, Zhang C, et al. 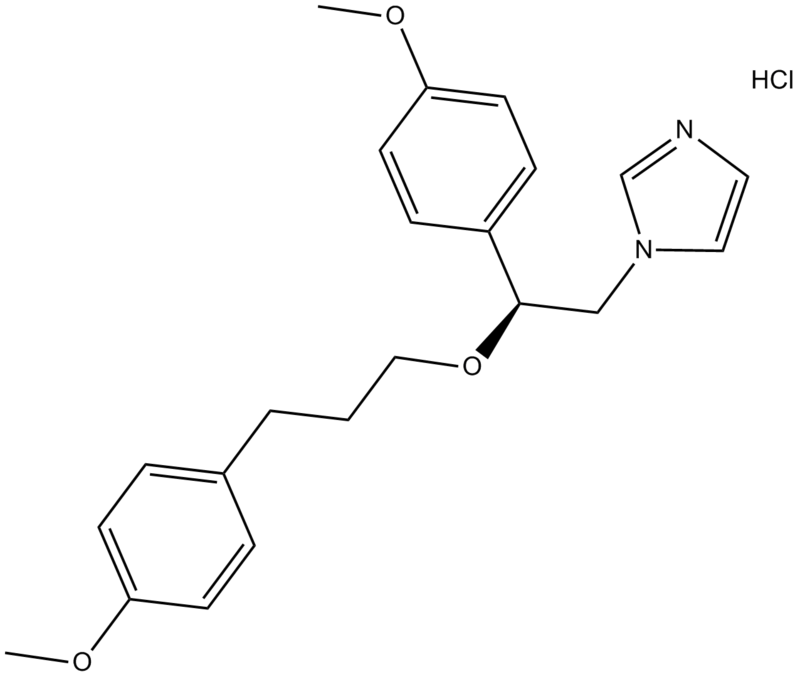 Protective effects of SKF-96365, a non-specific inhibitor of SOCE, against MPP+-induced cytotoxicity in PC12 cells: potential role of Homer1. 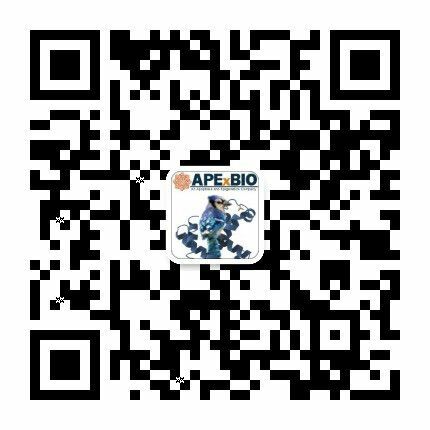 PLoS One, 2013, 8(1): e55601.
. Ding J, Zhang JR, Wang Y, et al. 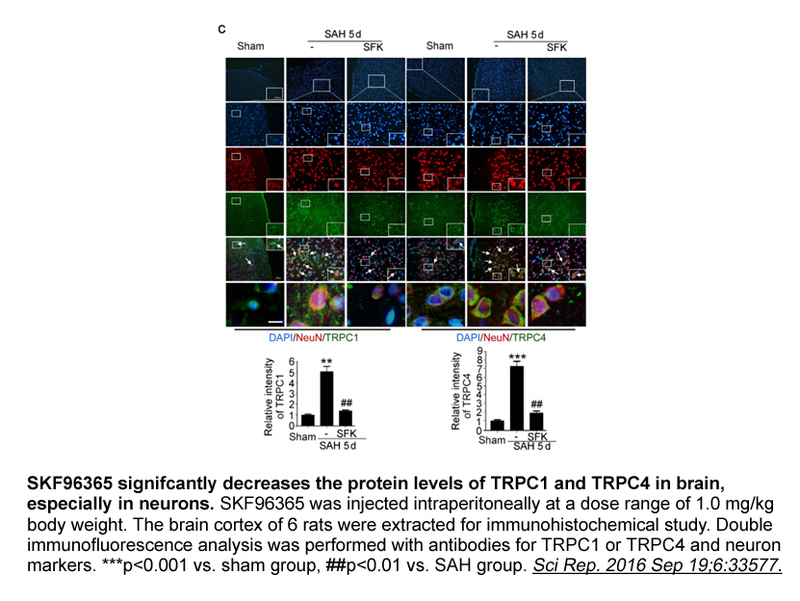 Effects of a non-selective TRPC channel blocker, SKF-96365, on melittin-induced spontaneous persistent nociception and inflammatory pain hypersensitivity. Neurosci Bull, 2012, 28(2): 173-181.
. Chen KH, Liu H, Yang L, et al. SKF-96365 strongly inhibits voltage-gated sodium current in rat ventricular myocytes. Pflugers Arch, 2015, 467(6): 1227-1236.
. Jan CR, Ho CM, Wu SN, et al. 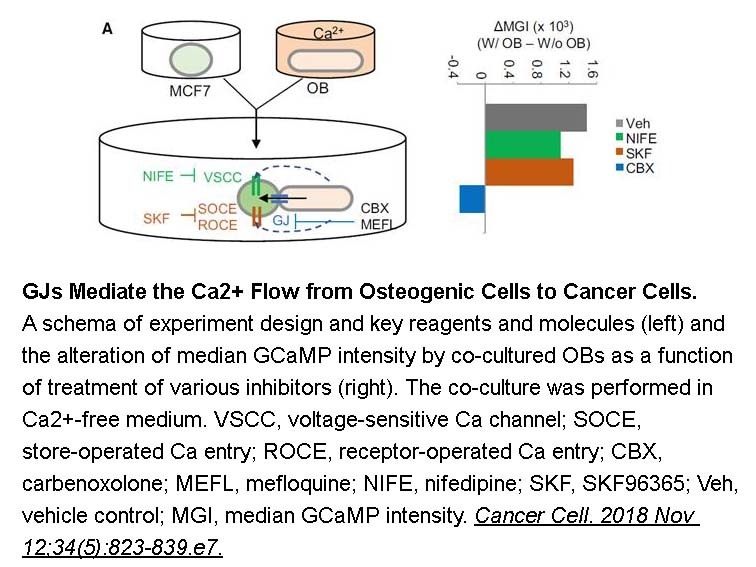 Multiple effects of 1-[beta-[3-(4-methoxyphenyl)propoxy]-4-methoxyphenethyl]-1H-imidazole hydrochloride (SKF 96365) on Ca2+ signaling in MDCK cells: depletion of thapsigargin-sensitive Ca2+ store followed by capacitative Ca2+ entry, activation of a direct Ca2+ entry, and inhibition of thapsigargin-induced capacitative Ca2+ entry. 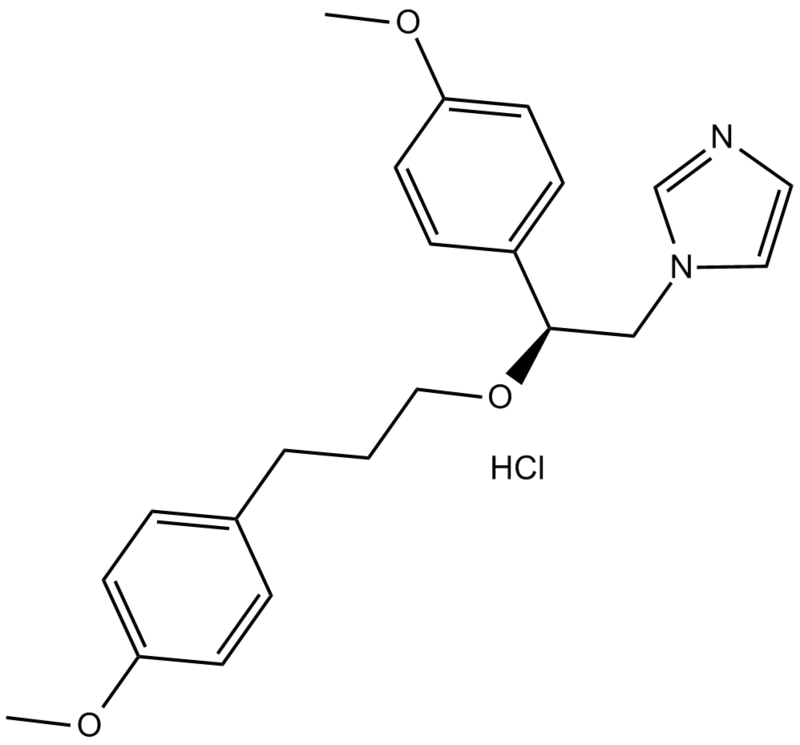 Naunyn Schmiedebergs Arch Pharmacol, 1999, 359(2): 92-101.